The Dattoli Cancer Center & Brachytherapy Research Institute serves as one of the world’s foremost research institutes in the treatment of prostate cancer using the combined modalities of external radiation and seed implantation. Continuing to further define the role of the Palladium-103 isotope, either as the sole modality or in conjunction with DART, is the Dattoli Team’s greatest focus. In fact, the Dattoli program of integrating modern transperineal seeding with sophisticated DART beam radiation in the treatment of prostate cancer is the largest and most longstanding of its kind in the world. At the Dattoli Cancer Center & Brachytherapy Research Institute, our focus in the clinical studies arena is to participate in research that will have a positive impact on the quality of life and survival of our patients seeking treatment for prostate cancer. 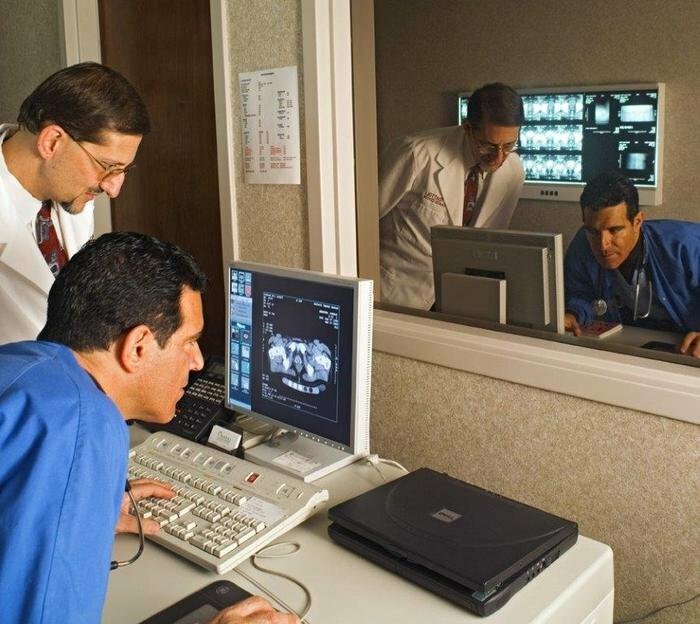 Currently we are involved in the Comprehensive, Observational, Multicenter Prostate Adenocarcinoma Registry (COMPARE) designed to collect data on the treatment of prostate cancer patients with a rising PSA. Physicians enrolling patients to this registry treat those individuals with their standard protocols and share information regarding response to therapy and survival in what promises to become a national database which will undoubtedly lead to future research endeavors. In addition, we are conducting numerous retrospective chart analyses, including but not limited to, comparing the efficacy of Uroxatral™ and Flomax™ (both alpha-blockers used to alleviate temporary urinary symptoms) in the immediate post-implant period. In addition, a prospective Combidex trial partnered with University of Nijmegen, The Netherlands and University of California, San Francisco, is currently under way. Our goal with respect to research trials is to ask, and perhaps answer, questions that are important enough to have a direct impact on the individual patient.